Patrick MacGill became known as the ‘Navvy Poet’ when a slim little volume of poetry which he had mostly written when working on the railways in Scotland and which he called ‘Gleanings from a Navvy’s Scrapbook’ came to the notice of the literary critics in Britain. It was at the end of the first decade of the twentieth century and the young MacGill was only about twenty years of age. He had, though, already lived a hard and adventurous life. He had left home in the Glen of Glenties in Co. Donegal and the nearby Mullanmore school at about the age of eleven for the hiring fair in Strabane in the neighbouring county of Tyrone. The young Donegal man, having done his stint on the farms and tramped the roads of Scotland finding work here and there, finally gets a job, by lying about his age of eighteen, on the Glasgow-Greenock railway line. Even though he had but a rudimentary education he read voraciously. His poetry, much of it based on his own experience as a navvy, reflected his growing preoccupation with the poor and the downtrodden and those navvies who, like himself, toiled in the muck to build civilisation but lived on the outside of society. His first collection of poetry, which he published himself and sold, at sixpence a copy, from door to door in Greenock where he was living at the time, together with articles he had submitted to the Daily Express in London incredibly resulted in his being offered a job by that newspaper. Thus his life was to change utterly. In the space of a few weeks, the navvy had become a journalist in Fleet Street with a book of poetry, albeit with considerable imperfection, to his credit. His journalistic career, for which he was not at all equipped, was to be short-lived. When he was taken into Windsor Castle by the somewhat eccentric but influential Canon Sir John Dalton, who had been chaplain to Queen Victoria and tutor to the Princes Edward and George, he was given accommodation and a job to keep him going. The legend of the ‘Navvy Poet’ grew and was further embellished. The young working man from Donegal was now able to pursue his writing in more congenial surroundings than a navvies’ hut or a rough lodging house. Another book of poetry, ‘Songs of a Navvy’, the verse in this volume more accomplished and again published by himself, appeared shortly afterwards. This time the address on the flimsy cover was not that of a lodging house in Scotland but of Windsor Castle. 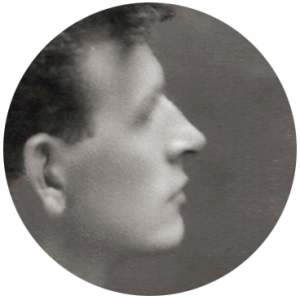 The following year, in 1912, MacGill had no difficulty in finding a London publisher for his third book of verse, ‘Songs of the Dead End’, a collection of the two previous works with the addition of newly composed poetry. Inspired by his extensive reading, he had by now turned to prose and when, the following year, he produced his first novel, ‘Children of the Dead End’ which caused a literary sensation. The subtitle of the work was ‘The Autobiography of a Navvy’ and into it the young author, he was now just over twenty-three, poured vivid and colourful descriptions of the life he had led until then, his family’s struggle for existence, his days as a hired boy in Tyrone, the hard conditions he had endured in the fields of Scotland and the characters he had met in the navvies’ huts in Scotland. More controversially, he attacked the system, not only in Britain but also in Ireland, for the human misery in which he and so many of his countrymen lived and worked at the time. He would not be forgiven in many quarters in Ireland for his quite vicious and relentless criticism, not particularly of the landlord class in Ireland, but of the local parish priest and his friend, the local merchant, the gombeen man, both of whom he accused of exploiting the people and both of whom were clearly identifiable. As organised labour was becoming a power in the land, here was a new and formidable voice on behalf of the working class who was of that class and who had shared, however briefly, the hardships and isolation to which they were subjected. MacGill’s sequel to this novel, ‘The Rat Pit’, named after a rough lodging house in Glasgow, would not have the same power or impact and ‘Children of the Dead End’ remains a significant milestone not only in Irish literary history but also in the social history of this country as well – social history which is still only too familiar to many Irish men and women and which, as has been pointed out elsewhere in this book, should not easily be forgotten. 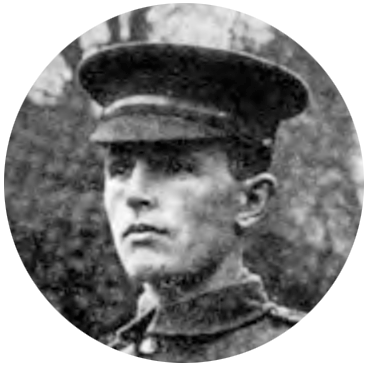 In August 1914, the declaration of war by Britain on Germany would change inexorably the lives of millions including that of Patrick MacGill, who, like thousands of his countrymen in Ireland, Britain and elsewhere, answered generously and nobly the call to arms. The author, with an address in Windsor Castle had, it is true, little choice but, in common with people throughout the British Empire, he believed in this crusade. 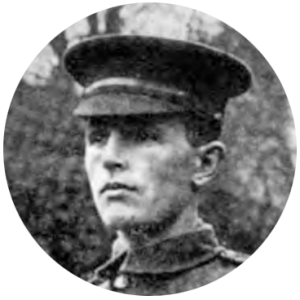 Importantly, he was able to go on writing as a soldier of the London Irish Rifles about a terrible and horrific new experience. Even after he had been wounded in the Battle of Loos in the autumn of 1915 about which he had written his best book on World War One, ‘The Great Push’, he would go on writing books on life in the trenches long after the guns went silent and the futility of the awesome sacrifice made by millions fully comprehended and deeply regretted. He settled down to married life with the woman he had married in 1915, Margaret Gibbons, herself a writer and journalist, and returned to the themes of his earlier life in Donegal and Scotland in ‘Glenmornan’ and ‘Moleskin Joe’ – the latter based on one of the memorable characters in ‘Children of the Dead End’ and well known to thousands of Irish labourers in Britain throughout the twentieth century. The decision, for various reasons, of Patrick and Margaret to set sail for the United States in 1930 with their three daughters, Patricia, Christine and Sheila, was to change their lives forever and lead to their exile and descent into oblivion. The author, having suffered for years from multiple sclerosis, passed away in Florida in 1963 and is buried not far from the home of his daughter, Patricia and her family, in Fall River, Massachusetts. 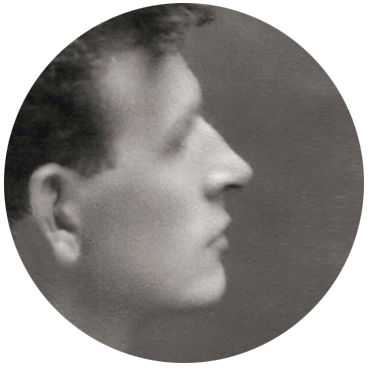 The Patrick MacGill Summer School was founded in Glenties in 1981 to celebrate the life and work of the author.